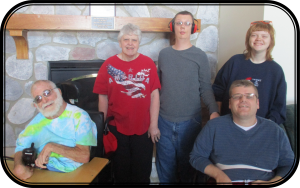 With the turning of the seasons, we also have many transitions at Camp New Hope! Our wonderful Program Director Jill Slack will be transitioning into a new position at Christie Clinic this Spring. We thank her for the heartfelt 4+ years served at Camp New Hope. She has touched many lives and brought many smiles to our families, campers and friends. We wish Jill the very best in her future endeavors! 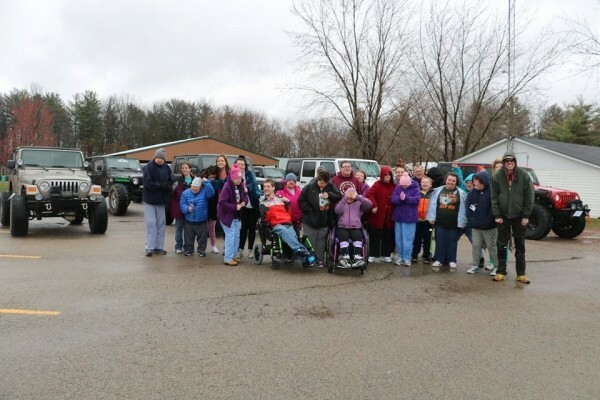 On behalf of our campers, families, staff and board members we want to thank the American OffRoad Addicts and all those who supported the Camp New Hope Jeep Run on March 30, 2019! Because of your efforts, Camp New Hope has been able to make necessary repairs to our grounds that ensure a fun and safe environment for our campers, staff and guests. The campers loved the "mini-parade" and we were grateful you made them a special part of the day! Our SMILE Campaign is still going strong, with your support we've received just over 30 "smiles"! Summer Camp begins June 2, 2019 so make your "smile" count today! Want to make your heart smile and see it spread to the SMILE of a camper. Our SMIILE campaign funds our scholarship program at camp for campers who can not afford to pay for camp. $610 is a full scholarship to send 1 camper to camp but any amount can be donated. We are looking for 75 SMILES this year. Don't miss out on your chance to spread the SMIILES!! We are hiring for our summer camp positions now!! We are looking for compassionate and dedicated people who want to work with Individuals with Disabilities. It will be your most rewarding and fun summer ever. Be a part of this great team and APPLY NOW!! Positions will be filling up soon. Open positions include: Day & Night Counselor, Sub Counselor, Cooks, Daytime Nurse, Floaters, Sub Counselors, and Sub Lifeguard. Check out our employment page under "help us" for more information. Ameren Illinois has helped camp through a grant to be able to update some much needed lighting with newer equipment/bulbs, and timers/sensors for outdoor lighting. This will help to reduce camp's monthly electrical costs in the future. Watch the video about what they did at camp. It's also a great overview of Camp New Hope's grounds.